The Bolshevik Revolution of 1917 and the Russian Civil War (1919 to 1920) resulted to more than a million Russians leaving Mathuska Rossiya (Mother Russia) and moving as refugees. Defined by the 1951 Refugee Convention, a refugee is someone who has left his country or is unable to return to it owing to a well-founded fear of persecution for reasons of race, religion, nationality, membership of particular social group or political opinion. Termed as “White Russians” because of their political affiliation, those who fled Russia during the civil war were those who fought for and supported the Czar, and those who strongly opposed the Communists, also known as the Reds. This tragic road to exile of many Russians is considered one of the greatest Diasporas in the 20th century (Ilieva, 2001). While many moved to Europe and America, a huge percentage of the Russian refugees fled to the neighboring country, China, and mainly settling in Peking (currently Beijing), Tientsin (Tianjin), Harbin, and at the international city of Shanghai. Some arrived through the Trans-Siberian Railway, some walked for days in bitter cold. For several years, they found refuge in China until World War II broke out, and Japan occupied the country. After WWII, the Communist Party led by Mao Tse Tung won against the Nationalists and began to overtake the whole of China. With the threat of the Maoist Revolutionary army’s impending attack from the north, the White Russians in China feared persecution and the possible forcible repatriation to USSR—with the tragic case of the 40,000 Cossacks who returned to their homeland only to be killed and sent to labor camps as a substantial precedent. Desperate to flee China in 1948, the group of “White Russians” and other European nationalities sought help from all the free countries in the world through the International Refugee Organization, the predecessor of the United National High Commissioner for Refugees. The Russian Emigrants’ Association sent circular letters to these countries requesting for an asylum for 6,000 people in danger. 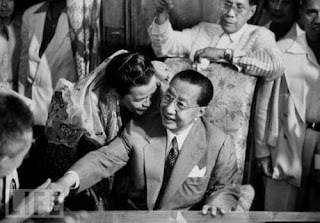 Many countries, including the U.S., responded sympathetically, but only one gave the reply they desperately needed—the then very new Republic of the Philippines, led by President Elpidio Quirino. 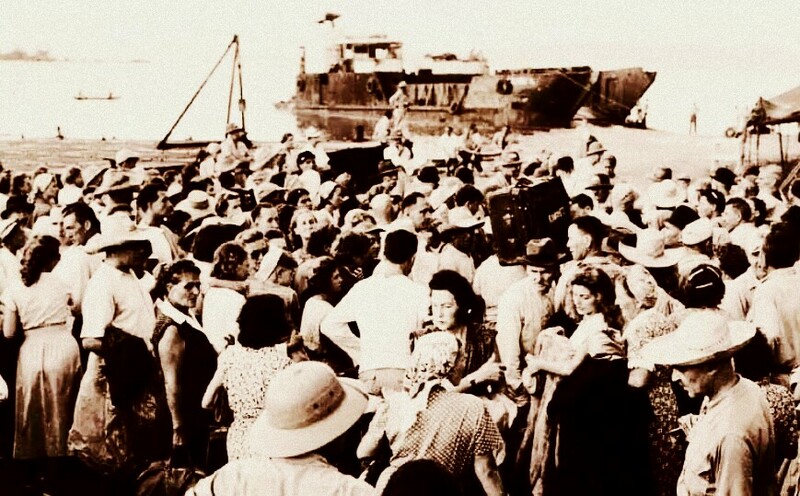 Nearly 6,000 anti-communist refugees—majority of who were Russians—started to evacuate China with the help of the I.R.O. in January of 1949 aboard rusty ships crewed by Chinese prisoners to the small island of Tubabao in Guiuan, Eastern Samar. From 1949 to 1951, with a very few extending until 1953, the small island became an emergency shelter, a point of transit, and a safe haven for these refugees composed of 12 national groups—namely, Russian, Armenian, Estonian, Germans and Austrians, Turko Tatar, Romanian, Ukrainian, Lithuanian, Czechs and Yugoslav, Polish, Latvian, and Hungarian. To the locals of Guiuan, these four years comprise a very interesting period they fondly refer to as the Tiempo Ruso, or the Time of the Russians. The refugees arrived at the I.R.O. camp, situated in the middle of a deserted island paradise with only a few fishing families living along the beach. The island used to be a receiving station for 10,000 men working for the U.S. Naval Base built in Guiuan during the war, but because of frequent typhoons and some scavenging expeditions, nothing was left on the island, except for a couple of dilapidated Quonset huts and concrete foundations. 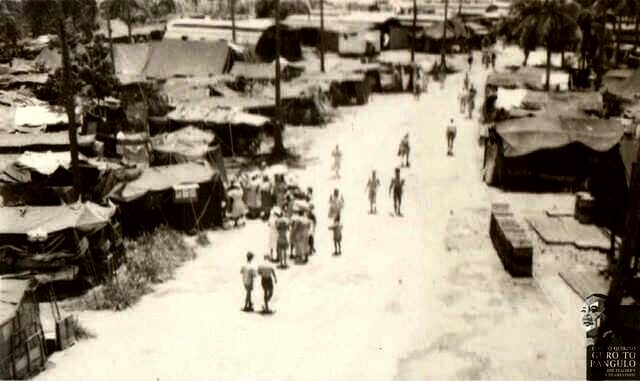 Demonstrating inventiveness, resourcefulness and resilience, the refugees—composed of teachers, doctors, engineers, architects, ex-military officers, lawyers, artists, performers, and priests, among others— tried to adjust to their new life, and used their skills and professions to improve their living conditions and achieve a sense of normalcy. The camp eventually grew to be a thriving “little Russian city,” divided into 14 main districts with democratically-elected leaders, and with organized communal kitchens, power stations, Russian schools, a hospital and a dental clinic, an arbitration court, a police force and a little jail, and several churches for different faiths—including a wooden Russian Orthodox church built from an abandoned church left by the Americans. The well-loved Vladyka (Bishop) John Maximovitch, the refugees’ spiritual leader, conducted religious services at the “cathedral” for several months until he left for the U.S. to advance his people’s plight. He is remembered to this day not only by former Tubabao refugees but also by the Tubabao natives as the holy man who blessed the camp from four directions every night to ward off typhoons and other potential dangers. On July 2, 1994, the Blessed Archbishop John of Shanghai and San Francisco was canonized as a Saint by the Russian Church. As life improved, the refugees also built an improvised open air movie theater, held dance parties, poetry readings, art exhibitions, lectures and performances by acrobats and dancers, and formed an amateur theatre company and a camp orchestra. Some of them taught piano and ballet to the local children for a living and eventually became friends with the local families, thereby exposing them to Russian culture. 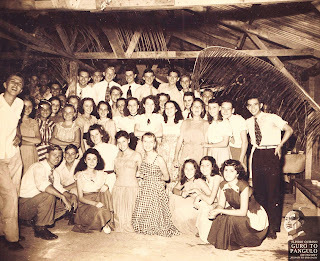 On October 28, 1949, the camp received a very important guest—President Elpidio Quirino, the man they saw as a hero. Quirino visited Tubabao Island to meet the people he gave asylum to and see for himself their living conditions. During his visit, he noticed a barbed-wire fence surrounding the camp and immediately ordered to have it taken down. Remembering that moment, a former refugee expressed in an interview how she and her fellow refugees saw the act as a sincere expression of acceptance, goodwill, and trust. 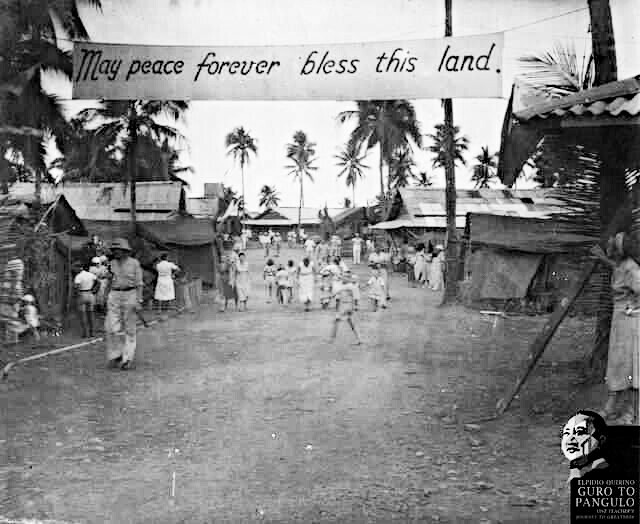 The Philippine government initially agreed to host the refugees for four months, but extended its hospitality for another 3 years until 1953 due to delays in the resettlement. 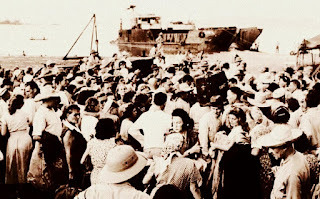 Although several delegations from countries interested in resettling the refugees visited the camp in 1949, including France, Australia and South American countries, majority of the refugees wanted to be resettled to the United States and were willing to wait for their numbers under the Russian or Chinese (for those who were already born in China) quotas to come (Ilieva, 2001). On November 23, 1949, U.S. Senator William Knowland visited the camp bearing some hopeful news on the approval of the amendments to the Displaced Persons Act of 1948, which prevented the refugees to enter the U.S. Through the joint efforts of Sen. Knowland, the Russian community in the U.S., and Archbishop John who testified before the Subcommittee on Amendments to the Displaced Persons Act of the Committee on the Judiciary U.S. Senate, the Displaced Persons Act of 1948 was amended on June 16, 1950, finally allowing Tubabao refugees to immigrate to the U.S. (Ilieva , 2001). Half of the population went to the U.S., approximately 1,500 went to Australia, hundreds were distributed to different countries and territories in South America, and the sick and elderly were accepted to France and Belgium. By November of 1951, around 210 refugees remained at the camp, mostly the TB patients, and in the following year, only 38 refugees remained. By 1953, the last of the White Russian refugees had left Tubabao Island (Ilieva, 2001). Today, the former “White Russian” refugees still carry the memory of Tubabao Island, both the hardships they had been through and the better things that kept them going—the beautiful sunset, the freedom, the warmth of the Filipinos, and that sense of togetherness as a people. Living a free and contented life in their countries of resettlement, the former “White Russian” refugees remain grateful to the Philippines for its benevolent and timely response to their plight. Always rising up to its famed reputation of hospitality, cordiality, and compassion, the Philippines has opened its doors to countless of refugees and asylum-seekers in the course of its history as a nation. 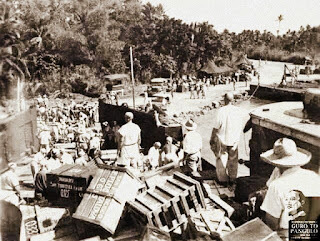 Waves of refugees to the Philippines include the first wave of White Russians (1923), the Jews (1934-1940), the Spanish Republicans (1939), Refugees from China (1940), the White Russians in Tubabao Island (1949-1953), the Vietnamese (1975-1992), the Iranians (1979), the Indochinese (1980-1989), the East Timorese (2000) (Kerblat, 2015). Today, the Philippines remains true to its commitment to provide protection and solutions for refugees as it is one of the few countries in the region to have acceded to the 1951 Convention and the 1967 protocol, and is a signatory to the 1954 Convention Relating to the Status of Stateless Persons. It has also enacted a national asylum procedure, which is used to determine the refugee status of asylum-seekers.